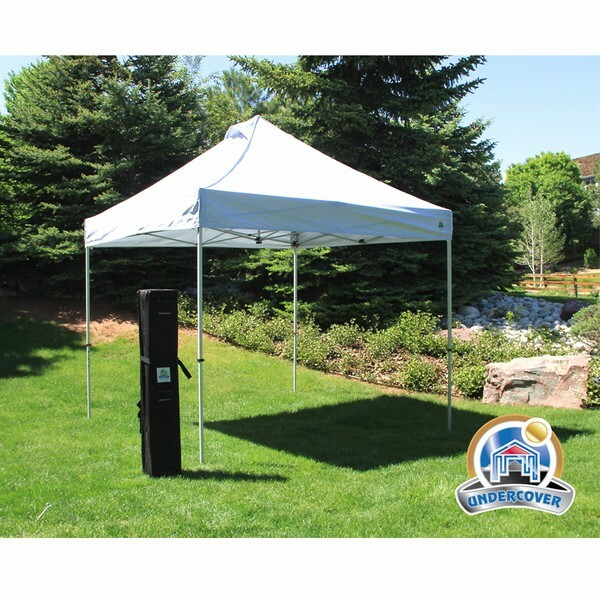 This aluminum UC-3 Popup-Shade® by Undercover® is one of our best sellers. Its super lightweight and allows for one person setup in seconds. You will find the features and innovation offered blows away any side-by-side cost comparison. EVOLVED: We’ve fundamentally figured out a way to make working components lighter, more functional with added durability. Undercover folding frames features internally structured tubes at all axial points. UNMATCHED VALUE: The super lightweight construction allows for one-person setup and transport like never before. Do you struggle with setup each and every time? Is it back breaking to lift your frame in and out of the car by yourself. No other category manufacturer can match up to these features and operational performances, none. NOTE: Product is designed for fair weather type situations, it needs to be anchored at all times, and should not be left unattended for extended periods of rain, wind or inclement weather.